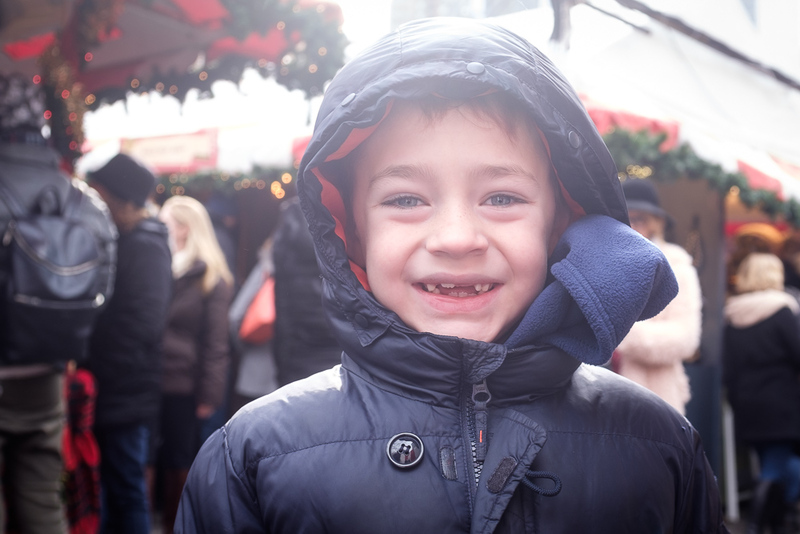 When my son was first diagnosed with epilepsy, I didn’t think we needed a miracle. At first, we simply hoped that the seizure he had would be his only one, but it wasn’t. Then we hoped that the medicine they put him on would prevent more seizures, but it didn’t. Still, I believed in the science and the medicine and I thought the doctors would figure out what was causing his seizures and they would consult the great book of diagnoses and prescribe a way to make the seizures stop. But they couldn’t. The first time I sat next to my son’s bed in the hospital while he was in status epilepticus, I started to lose hope. Or maybe I needed more than hope. I watched the EEG on the screen above his bed spike and flash a constant red alert. The seizure count continued to climb. I thought about racing against the power meter on the side of my grandmother’s house. My cousin and I used to race to see if we could make it around the house before the reading on the meter ticked up to the next number. I was fast in those days, but as I looked up at the counter on the screen, it was moving too fast even for me. The doctors did the best they could to slow the frequency of the lightning strikes in my son’s brain. A barrage of medicine did more harm than good, leaving him toxic and unable to move. There were a lot of sleepless nights, sitting up on the purple, uncomfortable foam bed as I watched a team of doctors circle around my son’s bed. The wires, many times reattached, that went from my son’s small head to the Great Machine carried signals of coordinated chaos that mirrored the activity by the doctors scrambling to find an answer. As our time in the hospital continued to accumulate, so did the seizure count on the screen. The technicians reset the system a few times. They said to make sure they were getting good readings, but I wondered if it was to hide how high the seizure count was going. As bad as it is to see the number increasing, it’s probably worse to see the equivalent of an odometer rolling back to zero from too much mileage. By the second month in the hospital, I started to lose hope. The science and the medicine weren’t finding the answer and my son was still seizing and my sweet boy turned into an unrecognizable, angry creature trapped inside an unstable shell. The child we brought into the hospital was not the one we were taking home. With my hope faltering and no end to my son’s agony in sight, I turned to finding a miracle. I always thought of a miracle as one big thing. I thought a miracle meant that we would wake up one day and my son would be healed. When we sat in the class about the ketogenic diet and heard of miracle stories of children that were seizure free on the diet and were able to wean off their medication, I wanted that miracle. When we were finally able to try CBD, after seeing the stories in the news of the miracles that it had done with children that had hundreds of seizures a day, I wanted that miracle for my son, too. But none of these miracles visited us in the way that I hoped. Or maybe, not in the way that I expected. Sometimes a miracle is not one big thing but, instead, a lot of little things. While the pills or the diet or the CBD alone did not provide relief for my son, a combination of them slowed and occasionally stopped the rampant storm inside his brain. Dedicated and persistent teams of doctors didn’t give up finding a working dose of medicine and the therapists worked impossibly hard to restore his mind and body. My son is alive, in school and learning, dancing, laughing, and playing. He’s back with us in ways that I began to think were impossible. I was so focused on the lack of one small, discrete defining miracle that I almost missed the larger one that was slowly revealing itself. It’s easy to give up on miracles when we don’t wake up to find a healed child, a rich bank account, or a clear purpose for our own life. We think we don’t deserve a miracle because of something we did in our past that cannot be forgiven. Or we pray harder or channel our anger at God and the universe when we continue to see someone we love struggle or suffer and they do not intervene. But the secret isn’t praying harder for the miracle that we think we want. The secret is being open to the miracles that happen around us every day. I’m a big fan of the show Westworld. Robots and cowboys. Oh, and Anthony Hopkins. What’s not to like? In one episode, the characters introduce the concept of a “cornerstone memory”. 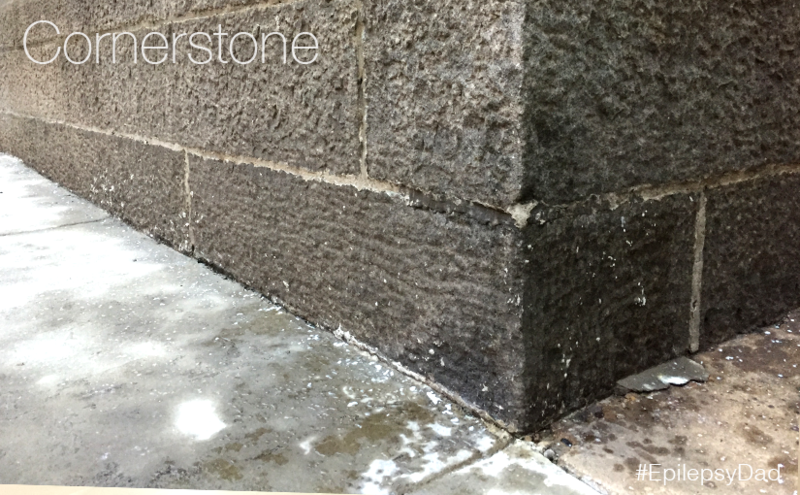 In architecture, a cornerstone or foundational stone is the first stone set in the construction of a foundation. All other stones will be set in reference to the cornerstone and it will determine the position of the entire building. 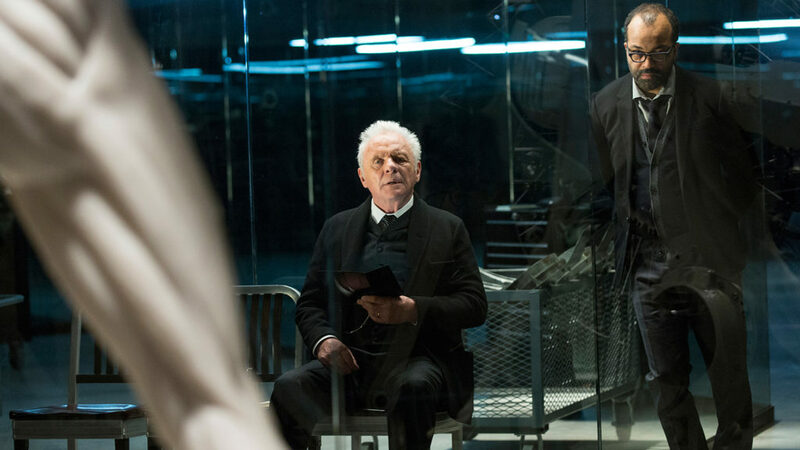 For the robots in Westworld, the cornerstone memory is the one that their entire identity is built around. These memories define the robot’s central story and tether their thoughts and actions to a core motivation or theme. The humans in the show have cornerstone memories, too, just as we do in real life. These memories stir up the feelings associated with them as if the moment just happened and dictate how we respond to the world. We use these memories to remind ourselves who and what we are. I keep going back to my son’s first seizure, feeling the fear and the sadness that I first felt watching his body tighten and his head turn to the side. I lose my breath as I remember him being unresponsive as I desperately tried to wrestle him from his seizure, the panic I felt, the helplessness. I can’t bear to stay in that memory too long. That memory drives my present day actions and motivations. It is why I write this blog. It’s why I signed up for the marathon. The helplessness I felt in that moment and the realization that I felt lost is why I sought help to cope with the complex emotions and challenges that lie ahead. It’s why I committed to becoming a better father and a better husband, to provide for my son and my family, and why I work so hard to give them a good life. As painful as that memory is, I try to be grateful that I have it because of how much my life has changed for the better because of it. I don’t know that a less painful memory could have had such a profound impact on how I live my life. As much as I wish my son wouldn’t have to go through any of this, I’m not sure that any other path our life could have taken would have brought us all as close as we are and I don’t want to take what we have for granted. In Westworld, the cornerstone memory is the one story that the robot’s entire identity is based on. It’s used to keep them on a predefined narrative. If they try to imagine a future that varies from their path, the memory pulls them back to keep them within the bounds of the set story. I find myself doing the same sometimes when I try to imagine a future for my son. The memory of that first seizure tries to limit those possible futures that I can see and it takes everything I have to fight its gravity. But life is not about one story, it’s made up of hundreds. Thousands. The memory of my son’s first seizure is one of my stories, but it’s not the only one. It has influenced my life, but so have the other memories that I carry with me. My life doesn’t have one cornerstone. It has many, creating an infinite number of buildings in complicated shapes that are still being built. The memory of my son’s first seizure is a cornerstone, not the cornerstone. It has shaped my life in many ways but it, alone, does not determine my future. Or his. Our experiences change us by they do not control us. We are human, with unlimited potential and countless unwritten futures. We should embrace that, and we should create a future that celebrates that potential. I should have known there was something wrong when my wife texted me that our son had a seizure in school. Seizures during the day are rare for him, but I thought that maybe we wore him out sightseeing with his cousin who was visiting over the weekend. 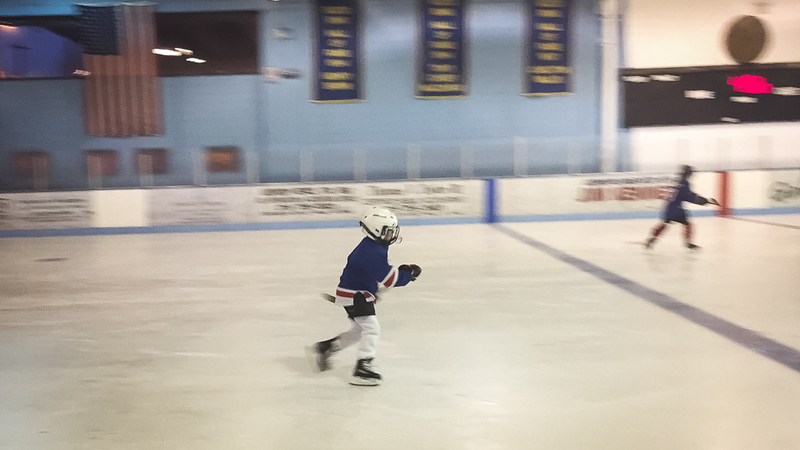 That was an especially bad day to break from his nocturnal seizure pattern because that afternoon he was supposed to be back on the ice for his first hockey class since his seizures started more than two years ago. When we lived in Colorado, hockey was all this kid wanted to do. We played hockey on the floor since he could walk. We even made a movie about it. 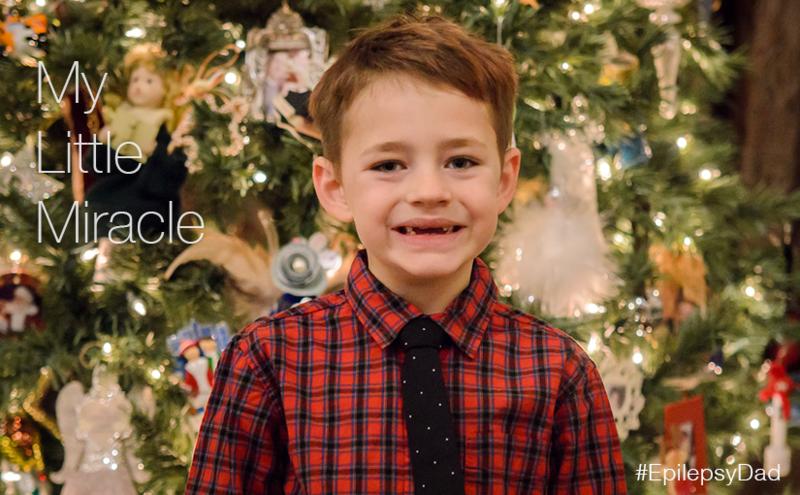 He started skating when he was around three, and he started his first hockey class just before we moved to Philadelphia, which also happened to be the time his seizures started. With how bad things got, hockey and skating were out of the question. Taking away something he loved so much was one of the cruelest things that epilepsy did to him. It took almost a year, but once he started to regain his balance and stamina, we found him a coach to do off-ice drills with him. We continued to play hockey on the floor or at the park, but he would always ask when he could get back on the ice. I didn’t have an answer. 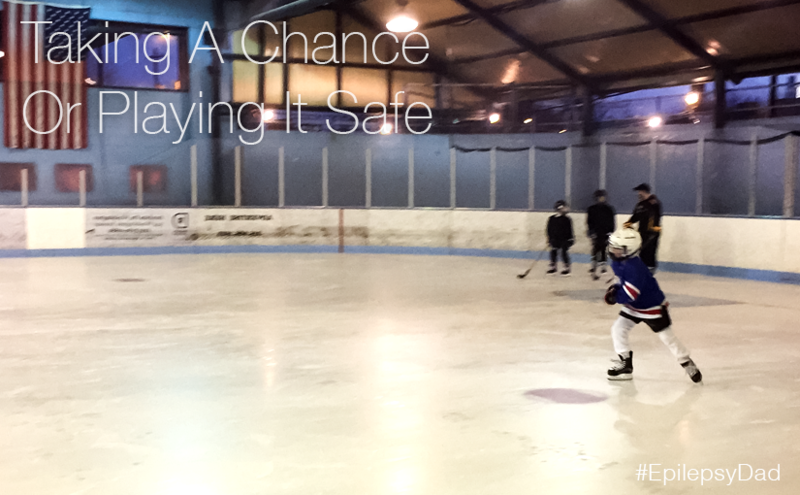 After nearly eighteen months, we let him back on the ice. It was only for short periods of time because his balance, stamina, and attention issues still prevented anything too rigorous, but it was something. To a kid that loves hockey more than anything else, though, it’s just skating. There is something different about doing it in full pads, with a hockey stick, and surrounded by other hockey players and we weren’t there yet, although that was about to change if he was well enough to go to this new class. After more than two years, he was about to return to where he was before the seizures started, which is why the timing of the daytime seizure was extremely unfortunate. We decided to see how the rest of the day went. After school, he took a nap and my wife said that he seemed fine after he rested. We took the chance and she brought him to the rink and I left work to meet them. As I walked in, I saw my son scan the room and realize that he was in a locker room, surrounded by other hockey players. He was so excited that he trembled as he put on his gear. By the time I got there, he flashed a smile and asked me to help him finish getting dressed. Apparently, mommy didn’t know the order things had to be put on in and he had to keep taking something off in order to first put on the thing that should have gone before. Finally dressed, he tucked his mouth guard into his toothless smile, grabbed his stick, and headed to the ice. It took all he had to not sprint, and he would have if the ice were further away. But he walked up the steps, past the bench, through the door and, finally, onto the ice. He skated around for a minute to get a feel for the ice and then skated over to his coach with the rest of the team. It took all I had to not burst into tears on the bench. My heart was filled with such joy to see my son so happy. We do a lot of cool stuff as a family, but my son also does a lot of stuff that other kids don’t have to. Dealing with seizures, doctor’s appointments, therapy, an impossible diet, more therapy, more testing. He doesn’t have much control over even basic things that his peers do and, for a while, epilepsy had taken from him the one place where he could be himself and do something that he loved to do for himself. But there he was, on the ice, smiling and sending me an occasional thumbs up (which is really difficult to do with a hockey glove on) as he did the drills with (and better than) the rest of the kids. I told the coach that my son was okay and that he needed a break. The coach mentioned that he’s a nursing student and just happened to start reading about seizures and epilepsy medication. Serendipity. After awhile, my son told me he was ready to go back on the ice. As a parent, I felt faced with an impossible choice. Should I put him back on the ice on a day where he is clearly having more seizures and risk him getting injured? Or should I play it safe and take him home and take away the joy he was feeling? 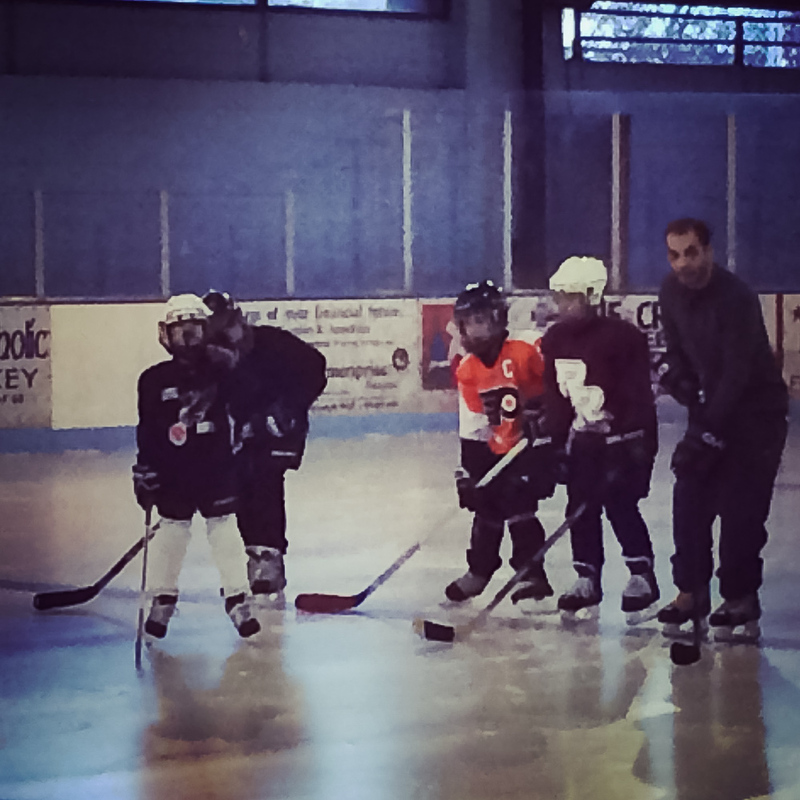 I glanced at my son who was watching the other kids on the ice and I made the heavy choice to let him rejoin his team. As he skated towards the coach, my heart raced and I watched his every move without blinking. Every fall was agony. Did he just fall or did he have another seizure? Thankfully, he would pop right back up each time and rejoin the drill. When class ended, I let out a huge sigh of relief as my son skated over to me, gave me a fist bump, and stepped off the ice. By this time, he was exhausted but he took off his gear and I helped him put it back in the hockey bag. His eyes were a bit droopy, and I could tell that he wasn’t really there. He had given everything he had to be on the ice and his body and mind were starting to give in. It’s a blessing and a curse that my son wills himself through the things he wants to do and the things we ask him to do. I wish life were easier for him. When we got home, I put him on the couch and made him dinner. He ate quietly and watched a little television before bed. As I went to get his evening medicine, I noticed that his morning doses were still in the pill dispenser. I asked my wife if she had given him his meds. It turns out, she didn’t. The daytime seizures, the exhaustion…we found the culprit. Mistakes happen. It’s a lot to juggle four doses of multiple medications a day, a special diet, seizures and the normal chaos that comes with a seven-year-old boy. I felt terrible that the first time back on the ice, his head must have been going haywire. He had seizures. He had to come off the ice. He wasn’t really present. He barely remembered being there. All because we made a mistake on the day that he was finally able to go back to his first love. The poor kid can’t catch a break. We gave him his medicine and the next day he was thankfully back to normal. I’m still not sure if we made the right call keeping him on the ice, and I suspect that we’re going to have a lot of similar decisions to make in the future. But that’s just part of managing epilepsy, and trying to give my kid as many things back that his condition has tried to steal from him. He won’t get it all back, but every little bit counts.